This was a collaborative project with my masters peers. The brief was to create a campaign of 6 images. 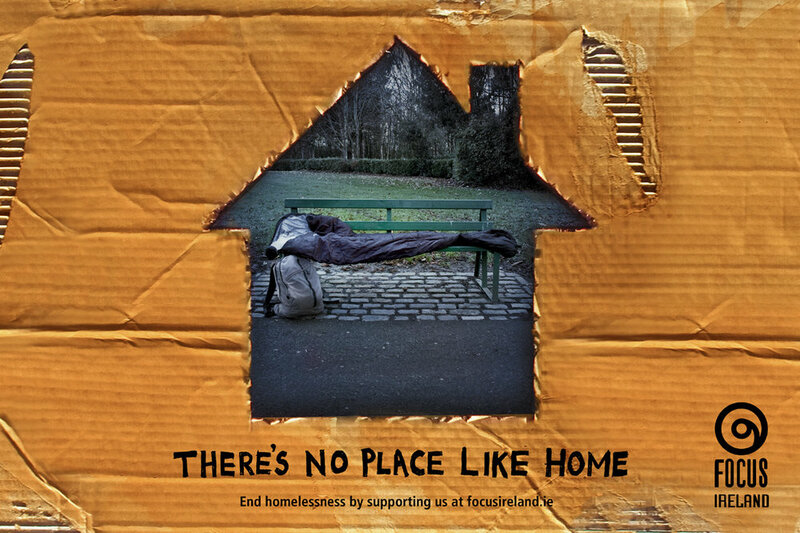 We walked through the streets of Dublin and photographed areas where could be construed as a "home" for the homeless. We brought the images back and decided on the ones which we thought really captivated life on the streets. We wanted to incorporate cardboard in the project. We distressed a piece of cardboard and stained it. When the right colour and texture was achieved we then photoshopped a shape of a house as a window through to the homes on the street. We felt that using a handwritten font would give the desired look for the finished piece. We decided to get the exact look and feel we would create our own font.